Walt Disney World® Resort is a special place to spend the holiday season. Everyone is excited for Christmas and there are many holiday events throughout Disney's theme parks. To help you plan a special Disney holiday, we’ve highlighted the top 5 holiday events at Walt Disney World Resort®. Spend the holidays strolling Sunset Boulevard. Sunset Seasons Greetings is a fun new event on Sunset Boulevard, part of Disney’s Hollywood Studios. To celebrate the spirit of the holidays, Sunset Boulevard will be full of stunning decorations and your favorite Disney characters. Highlights include Mickey and Minnie’s hometown Christmas, Toy Story characters opening new toys, and a special scene with Olaf from Frozen. Running throughout the Holidays, Sunset Seasons Greeting is sure to become a classic Disney event. See the special conclusion to the IllumiNations, a fireworks show that celebrates the spirit of humanity. The IllumiNations Holiday Finale features holiday greetings from all over the world and a beautiful rendition of “Let There be Peace on Earth.” This fantastic display above the World Showcase Lagoon is meant to spread peace and goodwill during the holidays. Come to Epcot® for a holiday light show that is felt around the world. 3. Jingle Bell, Jingle BAM! Enjoy a jam-packed holiday event with music, fireworks, and special effects. The Jingle Bell, Jingle BAM! features amazing projections from classic Disney Animations. Guests are immersed in scenes from Mickey’s Christmas Carol, Beauty and the Beast, Pluto’s Christmas Tree, and Tim Burton’s The Nightmare Before Christmas. To satisfy your sweet tooth, be sure to enjoy the Jingle Bell, Jingle BAM! Holiday Desert Party. Jam out at Disney’s Hollywood Studios for this exciting holiday event! Experience holiday traditions across 11 different World Showcase nations. Formerly called Holidays Around the World, Epcot® International Festival of the Holidays has transformed into a classic cultural event that brings the sights, sounds, and flavors of many holiday traditions across the globe. The World Showcase includes live music, international food, and costumed performers. Be sure to look for Chip & Dale as they gather ornaments. 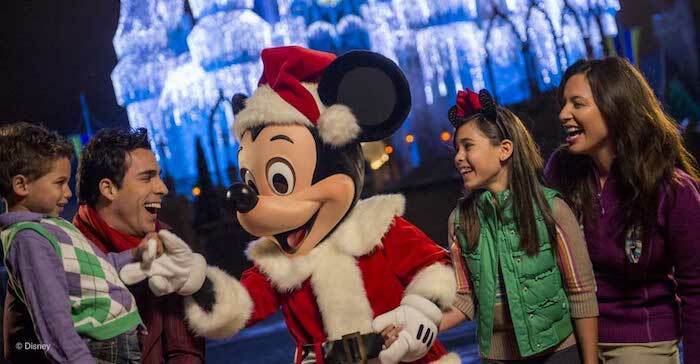 Celebrate Christmas with Mickey at a classic holiday event full of Disney characters. Taking place every year, Magic Kingdom park lights up for Mickey’s Very Merry Christmas Party. 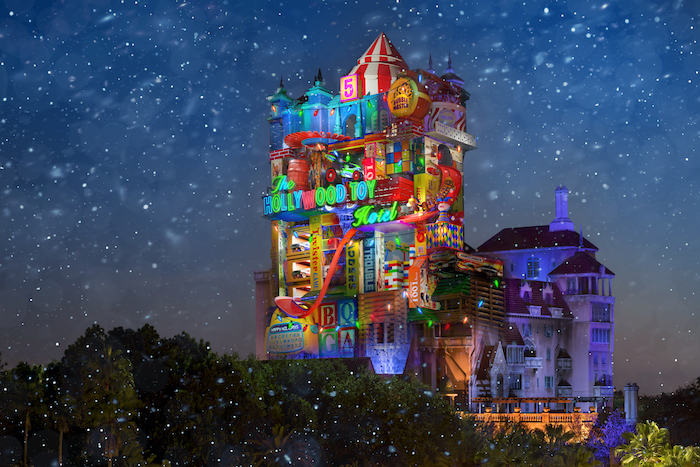 Held on select evenings, this enchanting event turns Magic Kingdom into a holiday wonderland. Characters wear special holiday costumes and guests have the chance to share hugs and take photos with Disney Characters. Many of Magic Kingdom's top attractions are open and decorated for the holidays. Holiday food and parties are everywhere. Join Mickey for a Christmas party for the ages. Check back for updated schedules and details for Disney's 2019 holiday festivities. In the meantime, browse through our Orlando vacation rentals to secure your home today.